Everyone has one. Families are undenyable. There’s no way you got into this world without a family — or at the very least a family member. But just becasue you’re related, does that automatically oblige you to remain tied to those people when the relationship is strained, dysfunctional, abusive or even healthy? In this show, the Wonder Twins Jennifer and Danica will be discussing the touchy topic of family ties, when and if to cut them and whether or not blood really is thicker than water…and what that actually means to begin with. They’ll be defining the roles of family members and what to do if the characters in the play aren’t following their scripts or are taking on too many roles for their own good. By the time the hour is up, you’ll feel relieved, empowered…and FREE! Jennifer Flynn is passionate about helping people reach their goals and potential. She primarily works with ‘addicted to busy’ high achievers and small business owners who have gotten caught in the choke hold of stress with a life out of balance. For more information on programs and services contact her directly at www.thebalancemaven.com or reach out via your favorite social media link. Danica Trebel is the Family ~ Life Coach who helps her clients find alternative paths to their truest identities and to fulfilling their dreams. 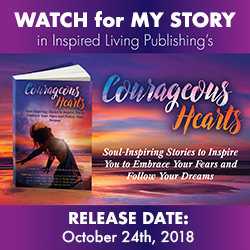 She also focuses on helping parents and teens end the war over who’s right and who’s wrong, shifting house rules from disrespect to authentic communication and transforming struggle into integrity, support and peace of mind. Indecision, no decision and complacency often leaves us unclear in our purpose and direction in life. We often trust other’s opinions and use them as guideposts to doing the “right thing” while in actuality, it feels like we’re living someone else’s life. Well, that’s exactly what’s happening. How many times have you turned yourself into a pretzel “being flexible” for others and their requests of you? And after saying yes, you immediately want to kick yourself for saying yes when “no” was the only valid response based on your already hectic schedule? What makes us “over-give” and over extend ourselves for others while simultaneously making ourselves miserable? Join us: Telecia Ellis, Jennifer Flynn, and host Tamarra Causley Robinson for this discussion about why we put ourselves in these compromising positions and how to graciously and gratefully change our hearts, minds, and responses to honor ourselves first. Boundaries required! Telecia Ellis is a Personal Success and Wellbeing coach. She delights in helping women and healthcare professionals reduce stress in order to achieve their optimal level of wellbeing and performance. Find out more at ExperienceAnew.com. Progress Not Perfection: Letting go and looking up! Lisa Marie Pepe empowers women to embrace how beautiful they truly are by providing them with the tools they need to live healthfully, gain more self-confidence, and meet the world on their terms. Lisa Marie also works with budding female entrepreneurs, helpng them to create a thriving online business. Her new book “Abundantly You! On Purpose in Business: Face The Fear of The Unknown” is available at Amazon at http://bit.ly/LMP_AYOP. LeAnne Parsons, a CPC, ELI-MP inspires adoptees and their families to navigate the complexities of adoption. LeAnne is CEO at Legacy Now Lived™ and the Founder of The Tapestry of Adoption. Known as The Walk Your Talk Coach, LeAnnes coaching process allows others to see that what is Unmentionable Is Unmanagable. She is not afraid to talk about the hard stuff! Contact LeAnne at www.thewalkyourtalkcoach.com. Part 2: What’s Your Why? Passion & Purpose : Make it Happen! Now is a perfect time to take a look back at all those New Year’s resolutions or goals and see where you are. If you have made little steps, congratulations! If you have traveled leaps and bounds, congratulations too! Join Barbara Hetzel, Jennifer Flynn and Danica Trebel in the conversation on how to keep the momentum going on your path to success in life. Danica Trebel, founder of Danica Trebel Family Dynamics & Life Coaching, knows first-hand the power and healing that can come from a family united. It was through her own personal experiences with eating disorders and the separation from her family and children that led her to this place of healing and restoration and passion to help others. Danica’s mission is equipping others to find and live their own from the inside out.